When Tom was in ninth grade his mother suggested that he should be an architect after years of seeing him excel in art related projects and building with Legos, Erector Sets, and Tinker Toys. As a result, Tom took drafting and architecture classes in high school and never looked back. In college his highly organized skillset allowed him to navigate the high demands of six years of architecture school while being an all-star soccer player and right-side hitter on the volleyball team. Meanwhile, he was also intently focused on writing music, playing guitar, and recording an album with a modern rock band he formed with other students in the architecture program. Tired of the cold weather and pace of life in the Philadelphia-Manhattan bedroom community called New Jersey, Tom moved from his home state in 1999 to Naples, Florida to further his career during the local building boom. 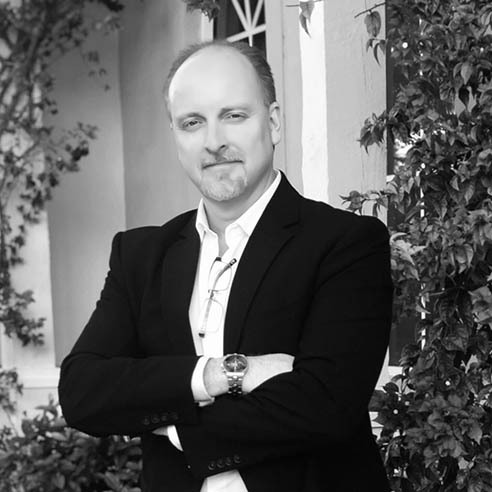 He quickly established himself through being the lead designer of several large-scale and award winning commercial projects in the Southwest Florida regional area which was a welcomed diversion from the beachfront residences he was doing on the Jersey Shore. 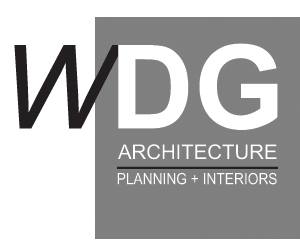 As Principal and co-owner of WDG Architecture, Tom leads the firm in designing commercial and residential projects as well as master planning and interiors. His extensive portfolio of project types over a 24+ year career, technical acumen, and design abilities have allowed him to successfully work with the most discriminating homeowners and large corporations alike. In his spare time apart from the firm, Tom has been known to coach high school girls’ varsity volleyball, girls’ club soccer teams, and run a private soccer technical training academy (for girls). Was it mentioned that Tom has two girls? Now that he is an empty nester, Tom dedicates his spare time when not with his wife-to-be Margo by sitting on non-profit boards, teaching bible studies, and writing a book.